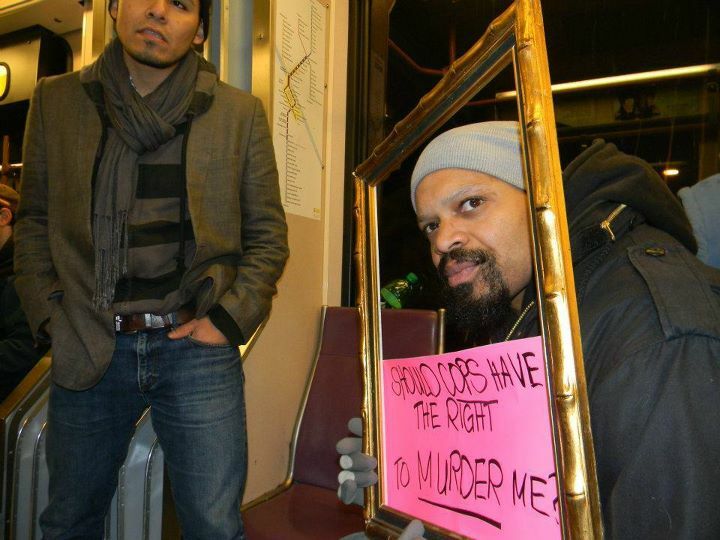 Jan. 1, 2009 Oscar Grant, a young Black father murdered by Oakland police at a BART station, shot in the back while dozens videotaped. 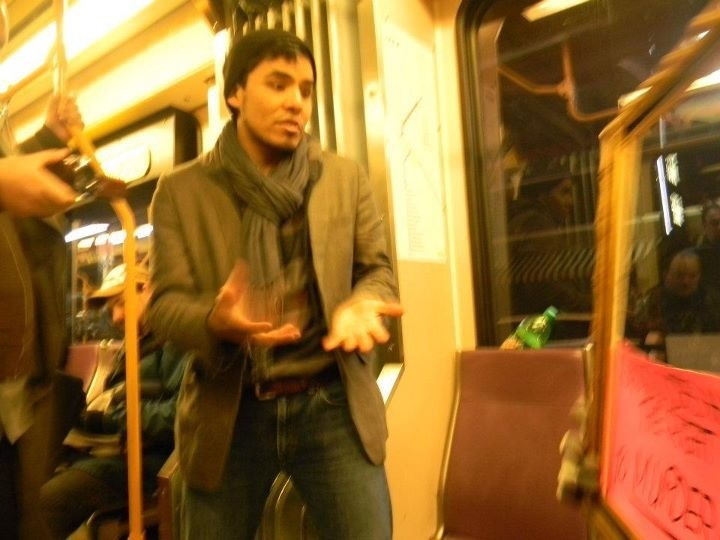 On Dec. 31, 2011, 10 members of Decolonize PDX spent several hours riding the MAX, Portland’s public transportation, to remember Oscar and to support people sharing their views on police violence. We began in the historically Black neighborhood, at the N. Interstate and Lombard stop, and rode down to the heart of the city, Pioneer Courthouse Square and back. 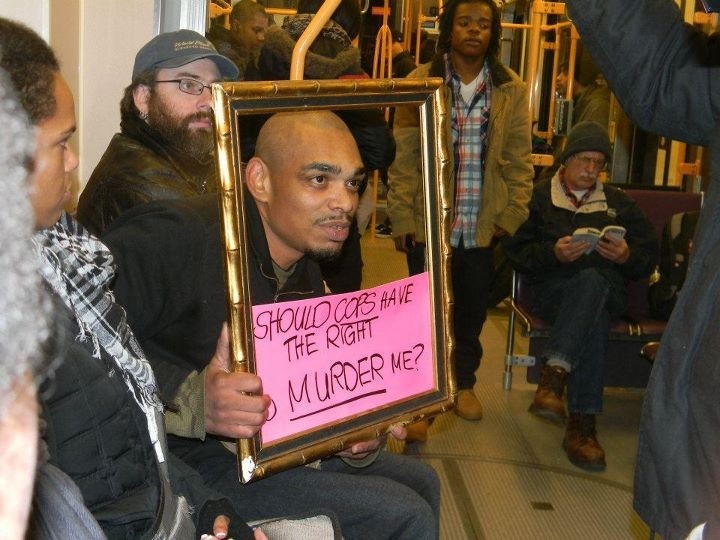 Decolonize PDX asked passengers to hold up an empty picture frame with the question “Should police have the right to murder me?” underneath their faces, and then answer it on video. 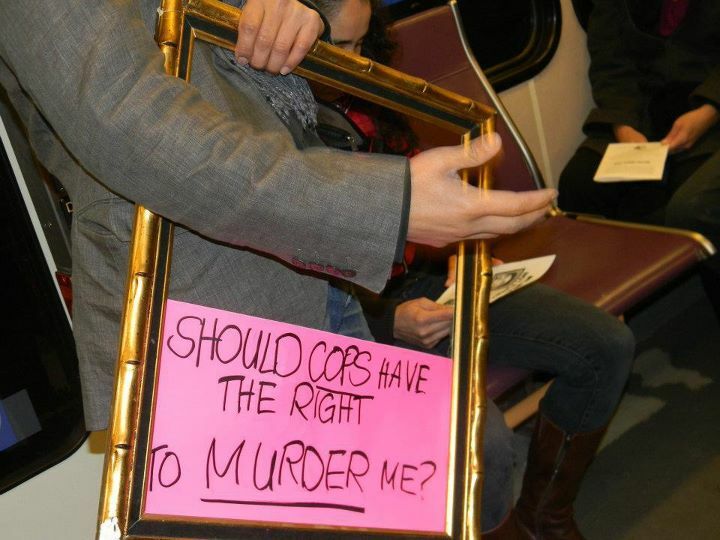 The responses were powerful and overwhelming. 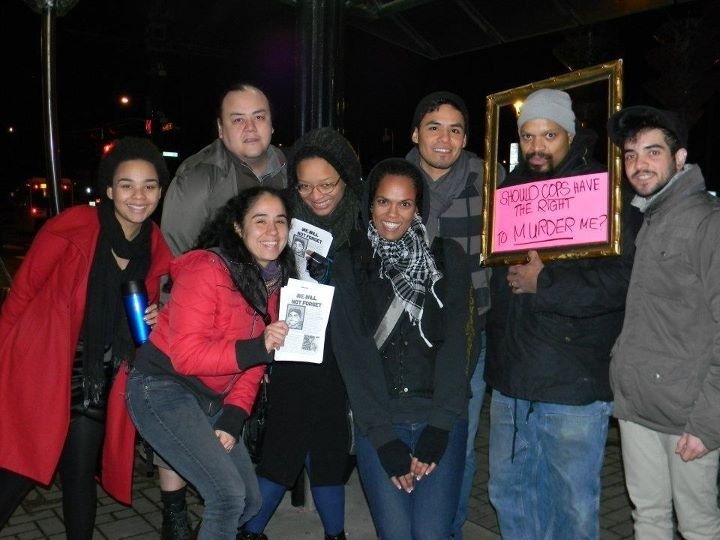 Dozens participated and engaged with us. 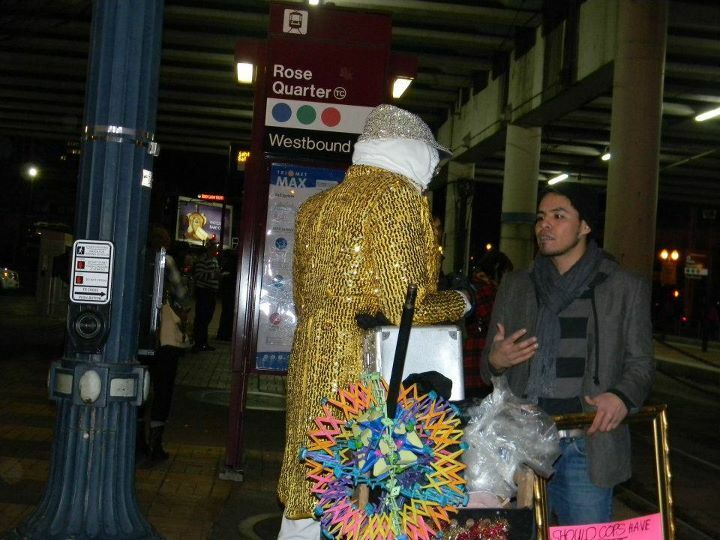 Many people thanked us for what we were doing. One man, whose father and grandfather were both lynched, likened that racist lawlessness to Oscar’s murder. A woman spoke powerfully about feeling fear and trepidation any time police arrive on the scene. 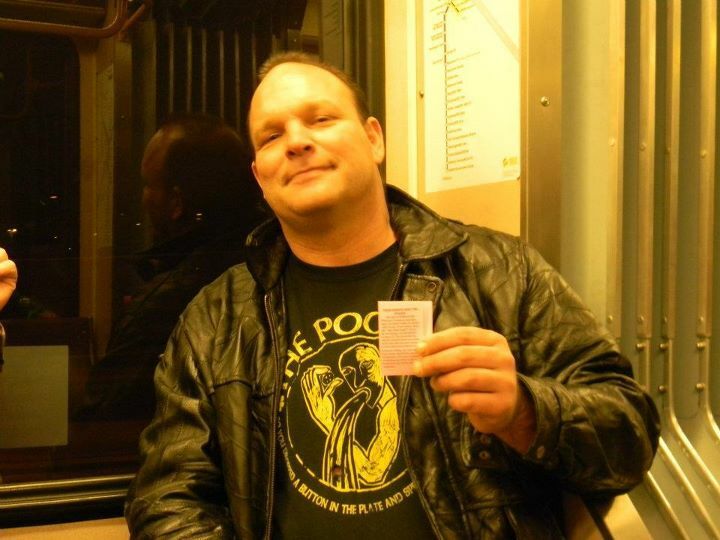 One man, who knew Portland police shooting victim Jackie Collins, shared he had been houseless for years, and he saw the police brutalizing and terrorizing the houseless community. A young woman, who went to high school with Portland police shooting victim Aaron Campbell, eloquently tied together all of these cases. She said the police have to be held accountable by the community, and that communities must organize to resist police violence.